If you recently found out that your doctor suspects that you have hyperparathyroidism, please read Part 1 of my story. 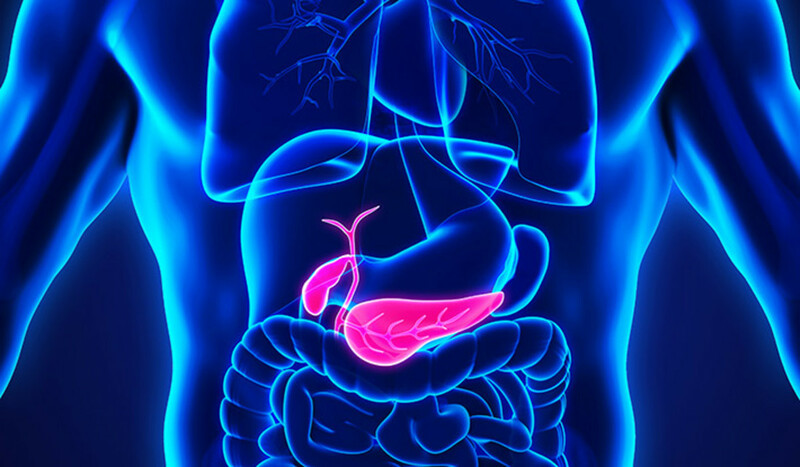 This Part 2 discusses the medical tests that are required when hyperparathyroidism is suspected. On July 15, 2008, I met my Endocrinologist, Naaznin J. Lokhandwala, M.D. at Beth Israel Deaconess Medical Center. After much research online, I recognized that my hyperparathyroidism was unfolding as if right out of a WebMD article. I remember sitting in the waiting room and watching the doctors come in and out- anxiously wondering who my new doctor would be. Surprisingly, Dr. L. is a young, petite Indian woman, and just about the only Dr. who didn’t make an appearance in the waiting room. An even younger medical student was assisting Dr. L. He asked me about my symptoms and family history. Doctor L. physically examined my thyroid for any abnormalities. I was relieved when she found nothing unusual. While I was almost certain that surgery would be recommended, I held onto the hope that there might be another option. Because of my elevated calcium levels and parathyroid hormone levels, Dr. L. recommended that I have additional tests. To evaluate my kidney function I needed an abdominal x-ray for kidney stones. To determine the amount of extra calcium in my urine, I needed a 24 hour, urine calcium output. To determine if I was experiencing bone loss, I needed a bone density test. Most importantly, the doctor needed to get a view of my pararthyroids to see if one was enlarged and for that, I needed a Sestamibi scan. As if taken directly from one of the pages that I read online, Dr. L. told me that my hyperparathyroidism was most likely being caused by one enlarged parathyroid gland and that surgery to remove the enlarged gland is the only treatment for primary hyperparathyroidism. 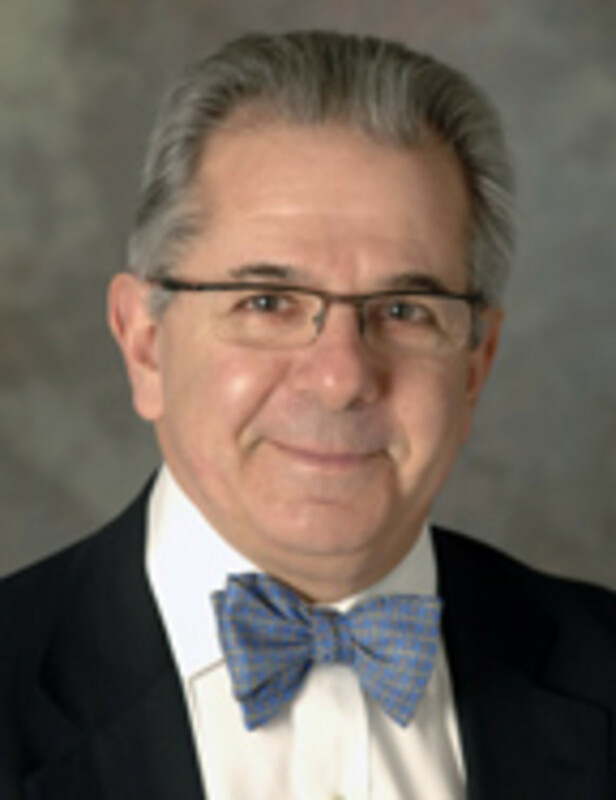 Once all test results were in, Dr. L. expected she would be transferring my case to the parathyroid surgeon on staff at BIDMC, Peter Mowschenson, M.D. – who is the surgeon that I wanted to perform my surgery. I was anxious about having the surgery, yet, relieved that this piece fell right into place. 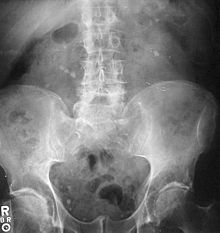 Bilateral kidney stones on abdominal X-ray. 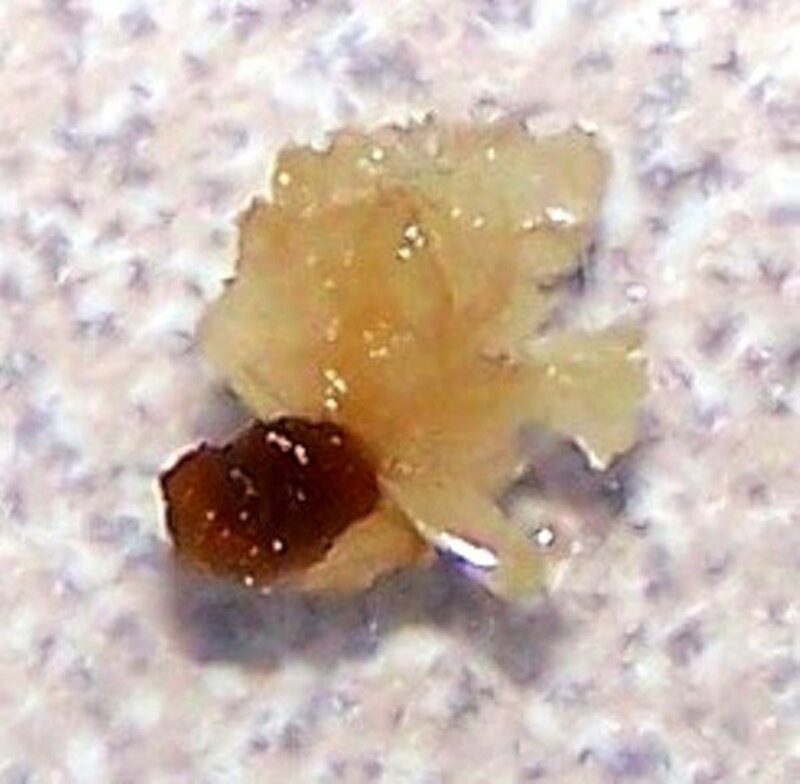 A 9 mm kidney stone. Fortunately, I was able to have my blood work and my x-ray that same day as my initial appointment with Dr. L. An abdominal x-ray would determine if I had developed kidney stones as a result of the excess calcium in my urine. Kidney stones (ureterolithiasis) result from stones or renal calculi (from Latin ren, renes, "kidney" and calculi, "pebbles") in the ureter. The stones are solid concretions (crystal aggregations) formed in the kidneys from dissolved urinary minerals. 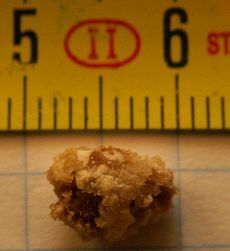 The tiny nuggets (pictured) that look like granola are kidney stones, which range from as small as a grain of sand to as large as a golf ball. If I had a kidney stone that was too large to pass, it could have required an additional surgery like tunnel surgery. In tunnel surgery, the doctor makes a small cut into the patient’s back and makes a narrow tunnel through the skin to the stone inside the kidney. With a special instrument that goes through the tunnel, the doctor can find the stone and remove it. 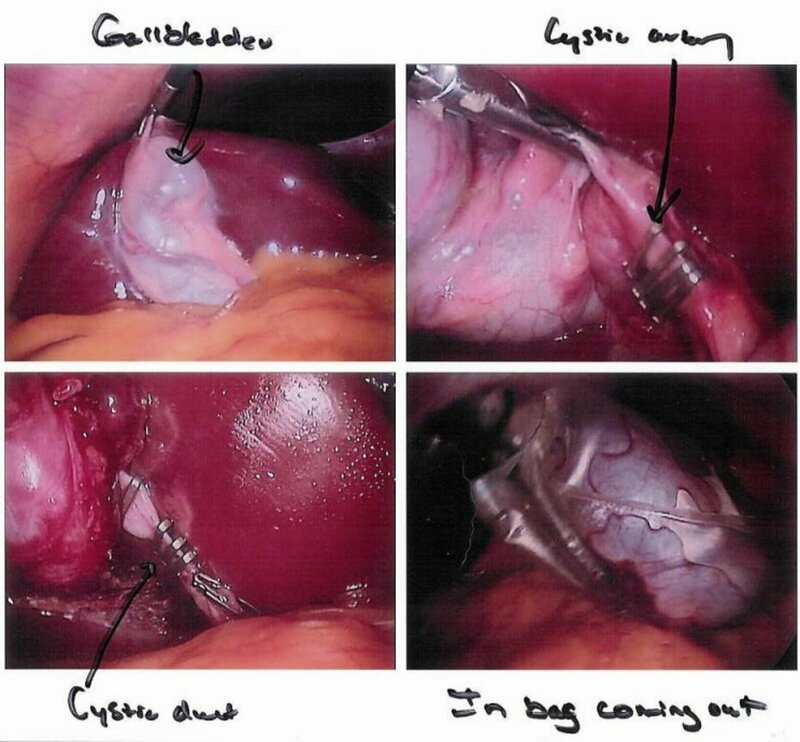 Another surgery to remove a kidney stone requires a Ureteroscope. A ureteroscope looks like a long wire. The doctor inserts it into the patient’s urethra, passes it up through the bladder, and directs it to the ureter where the stone is located. Ouch. Fortunately, my x-ray was negative for kidney stones. I’ll always remember this test in which I had to collect every drop of urine for an entire day. This test measures the amount of calcium excreted in urine collected over 24 hours. What made it interesting was the day of the test; I had to take my kids to their swimming lessons. Among the beach chairs, sand toys and towels, I had a large backpack that was transporting my jug of urine and the little seat that I had to use. 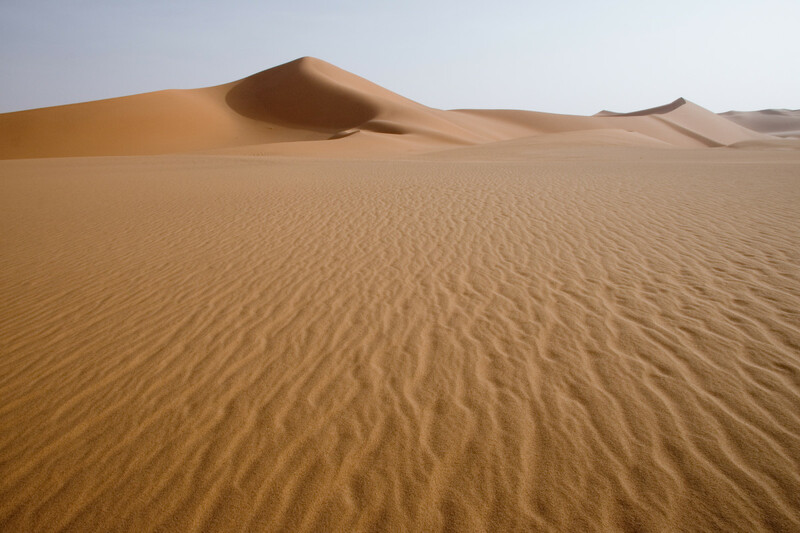 I marched across the sand, in front of all the other moms, with my backpack full of urine. Thank goodness the restroom was clean and there was plenty of room to “conduct my test”. The test results did reveal an elevated level of calcium output in my urine at well over 300 mg/24 hours. The normal levels for an adult are: <300 mg/24 hours (<7.5 mmol/24 hours) with low dietary calcium intake of 200 mg/24 hours. 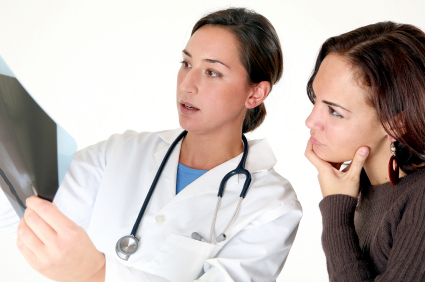 Bone density testing is strongly recommended for women who are post-menopausal, over 5 feet 7 inches and/or thin (less than 125 pounds) and not taking estrogen. 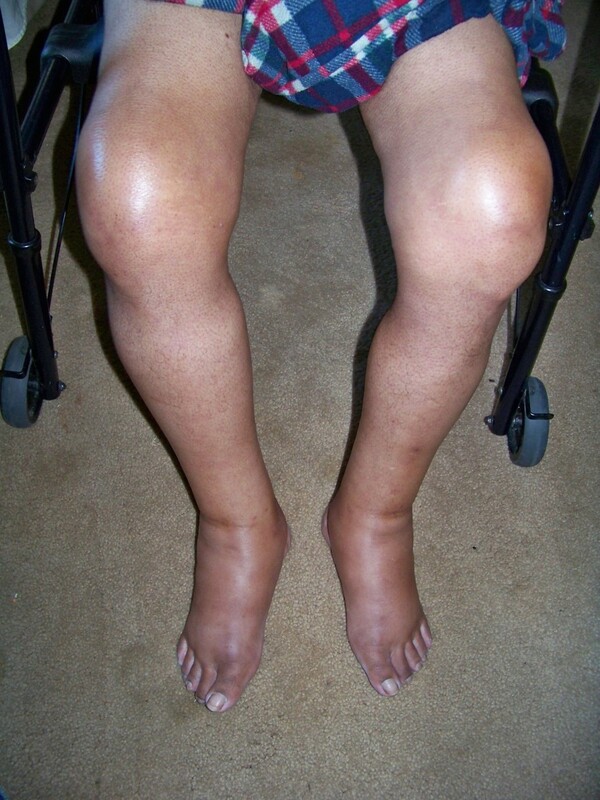 It is also recommended for women who have a personal or maternal history of hip fracture or smoking. A bone density scan would reveal if I had suffered any bone loss due to the presumed parathyroid tumor that was making too much PTH hormone, causing my bones to release calcium constantly into the blood stream. This could cause my bones to lose their density and hardness (it is the calcium that makes them hard). Loss of calcium from bones is called osteoporosis. 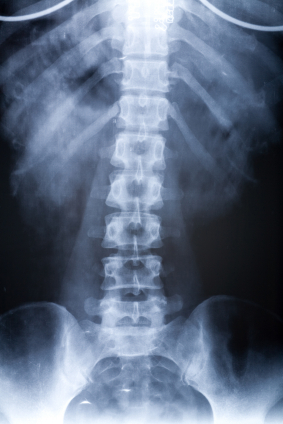 Bones which are osteoporotic are more likely to break. The bone density scan consisted of a series of what appeared to me to be typical x-rays, which took about thirty minutes. The scans of my spine, neck, hips and forearms revealed that despite my condition, I still had a normal bone density. A Technetium 99m Sestamibi scan is a nuclear medicine test that uses safe nuclear molecules to make pictures of the parathyroid glands to help locate a single parathyroid adenoma in primary hyperparathyroidism. I had to wait two hours and twenty minutes for the nuclear medicine to be fully absorbed by the parathyroid. The principle of the procedure is that the Tc99m-sestamibi is absorbed at a greater rate in a hyperfunctioning parathyroid gland than in a normal parathyroid gland. The scan took a painfully long time. Three different views of my neck were taken and each view took fifteen minutes. The worst part was having my head inside a dome and the rest of my body sandwiched between this machine. I remember looking up at the dome and from the corner of my eye, seeing the x- ray machine pinning the rest of my body down. I suddenly felt claustrophobic and panicked. I felt my body getting ready to try to escape. Instead, I quickly thought to close my eyes and did so for the remainder of the test. This got me through it. Sestamibi imaging is correlated with the number and activity of the mitochondria within the parathyroid cells. The enlarged parathyroid adenomas have a very high insatiability for sestamibi verses the clear cell parathyroid that have almost no imaging quality at all with sestamibi. 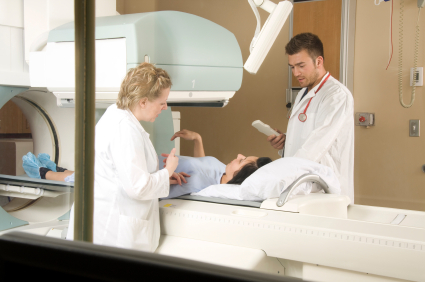 Approximately 60 percent of parathyroid adenomas may be imaged by sestamibi scanning. My results were in and the document read, “Faint focus of increased tracer uptake overlying the lower pole of the left lobe of the thyroid gland, consistent with parathyroid adenoma.” Translation – my lower left parathyroid gland was indeed the culprit and I was off to meet the surgeon. This concludes part 2 of a this three-part series. In part 1, I discuss my experience with hyperparathyroidism- the symptoms, causes and treatment. 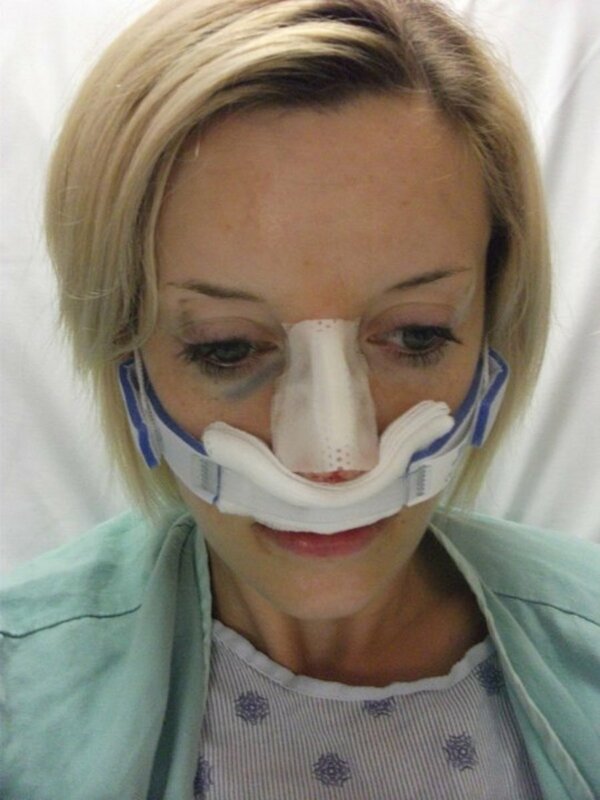 In part 3, I will retell the details of the actual surgery and recovery. For myself, I know that I find comfort when I can discuss a health issue such as primary hyperparathyroidism with someone who has had the experience. It is my hope that having read this, you are feeling better about this very treatable, straightforward disorder. I guess I didn't consider that this nasty little problem could come back. Did you have surgery at that time? Thanks for your article. I am dealing with this now. I had it ten years ago and I just found out that it is back. I am not sure if it never went away or if it is recurring. I am bracing myself to return to the doctor. I am frustrated haha. I have gone full circle with doctors. 1 urgent care diagnosed me with parathyroid problems where to racing heart rate, insomnia, 10.5 calcium and 69.10 PTH. The nurse said the only way to lower calcium is to flush it out. If it was higher they would have me in the hospital with an IV and lasix. I had lasix t home..so took it, sipped water all day and finally slept after symptoms improved. In 2 days my calcium was down to 9.6 and PTH 66. I had to wait 6 weeks to see an Endocrinologist for 5-10 min. She said I had stage 3 kidney failure, ordered some tests, sent me on my way, then called the next day said everything was ok. I'm mad and no worried as I only have one kidney, so I go outside insurance and pay a kidney specialist for an untainted or jaded opinion. He runs tests others won't through a facility covered under my insurance. He can't see any reason for dropping kidney function. 61-55-53-52-48-53. He refers me to Endocrinologist Dr Mair for parathyroid. So".......I take all this back full circle to PCP. I also contact Dr Norman n Tampa, FL. After hearing my experience he said my problem was getting a bad doctor. Unfortunately, my 2 referral last week was to the same clinic 2.5 hrs away. So I drive 5 hrs and waste a day for a younger Dr to spend 10 minutes with me who seemed intent to stick with her senior Endocrinologist and focus on kidney failure instead of parathyroids. She did order a sestamibi scan for the 29th. I told her that I would like to have it instead of playing the guessing game. Recent bloodwork shows 9.1 calcium with high PTH 88.90 and high calcitriol 85. Vitamin D ok. Dexa can on negative side of normal (-.4, -.5, -.8). I have avoided all calcium and have alleviated insomnia, headaches, nausea, vomiting but the pain in legs and severe fatigue are still there. I have no idea if drinking so much water is why the calcium is lower. I drink water all day long. I am sick of drinking water but it does make me feel better. The endocrinologists are irritated that I doubted them but golly! I need an answer...not just sent home and told everything is ok, goodbye. I would love to hear others experiences. Especially if your calcium levels bounced around. I have randomly ate dairy a few days (after 3-4 weeks of avoiding all calcium) and symptoms came back. One yogurt and I can't sleep more than 3 hrs. Coincidence? Trial and error 4 times now, same result of insomnia. 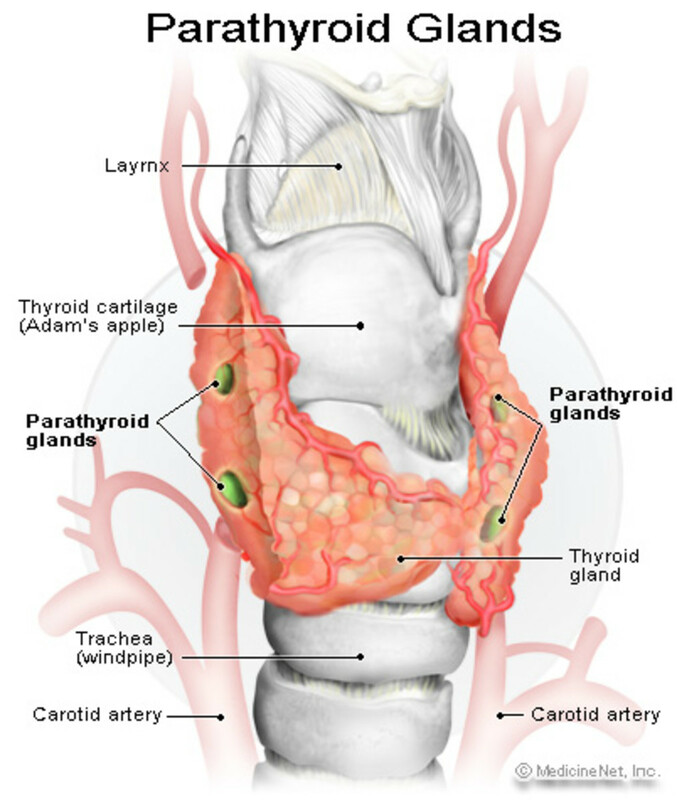 I want to thank you for taking the time to document your parathyroid experience online for myself and others to have some kind of connection to an actual person who has dealt with this disease. I'm in New Hampshire and searching for the most experienced, reliable surgeon in the area. That search led me to your three part story. The site is for doctors and patients alike, and clearly stated for each. Thank you for allowing my comment and I hope, along with your info, can help someone else who may be experiencing any of the symptoms we have shared. I am 41 yrs old and just found out that I have bilateral kidney stones, from a bone density scan I have the thinning bones of a 55 yr old. My calcium was within normal range - 10.0 - haven't had a PTH test yet, doing that on Friday - does this sound like HPT? I'm meeting with the surgeon next Tuesday regarding removing one parathyroid. I have been searching for number 3 of your descriptions. Have you written it yet? If they removed two adenomas, I would say you should notice improvement in symptoms within days. It really is that fast. As far as the scarring, just give it time and it will fade significantly....Best of luck! My list of symptoms was long. Joint pain (hands, feet, ankles, back) fatigue, exhaustion, dizziness, confusion, severe mood changes, fluctuating blood pressure, heart palpitations, osteoporosis, high calcium (10.9+or-), high PTH (up to 143)& low Vitamin D. I had surgery yesterday. The surgeon's assistant informed me that they had to remove 2 adenoma's and could not find the other two to check. I am pretty depressed because my "minimally invasive" incision looks like someone attacked me with a hatchet. My biggest complaint has been the joint pain, pretty severely in my hands. I sure hope I notice a change soon. For those who have had the surgery how long did it take before you started feeling better? Did you take calcium or Vitamin D right away. I was not instructed to do either? All my doctors pushed me to take the Vitamin D prior to the surgery. I have held off after reading Dr. Norman's advice on parathyroid.com. You are most welcome. Good luck with your surgery! I predict smooth sailing! Thank you so much. I feel so much better. I'm going today for my scan and I'm so nervous. Your experience has put my mind at ease. Thank you, more than you know. Hi, I have an appt. with a parathyroid surgeon at Johns Hopkins on Dec. 16th. Your site helps so much. I feel alone with this problem, as none of my friends have had it. The depression and irritability are terrible. Have you written part 3 yet? Hi, I just recently was diagnosed and am going through all of the same tests as well as a Thyroid Scan. (I also have hypothryroidism) Have you written Part 3 yet? I cannot find it. Thanks! Your information is wonderful and so helpful! Thanks frogyfish. Glad you are checking out the series and I also hope it helps out others! Good personal detail of your experience, and that should take some of the unknowing fear out for others. Thanks for sharing and I'm on my way to #3. I already had the surgery in 2008. I just recently decided to write about it. I had never heard of it before either. Thanks for your comment.